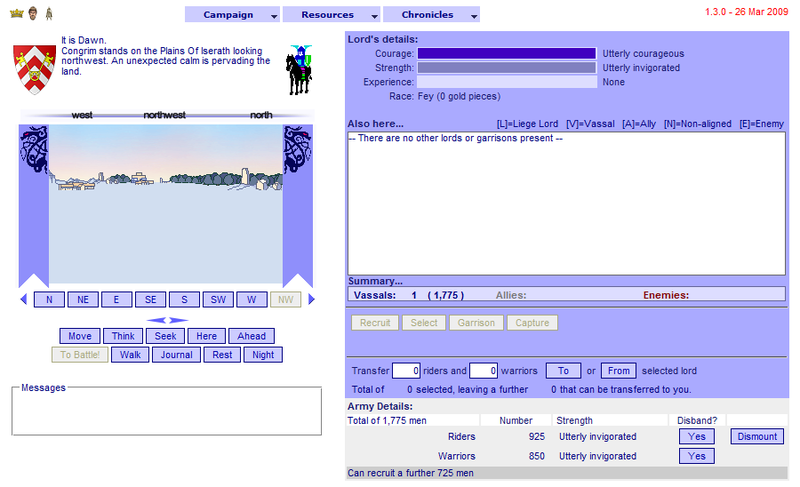 Midnight/MU is a turn-based strategy war game largely based on Mike Singleton's classic 1980's computer games Lords of Midnight and Doomdark's Revenge. It is played by between 2-8 players who compete to be named as ruler of the land. Remember to register on the forums - you will be able to organise new games much more easily there, as well as pick up lots of hints and tips on how to play.